Replacement OEM Multifunction switch / Indicator / lighting stalk. Problems with the fog lights or the indicators are likely to be caused by a faulty Indicator/lighting stalk. 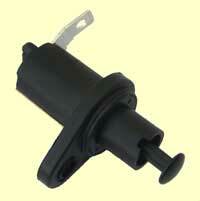 Replacement ignition starter switch that is operated by the ignition key. Click the picture for more information. Fits all 1.6, 2.0, 2.4 & 2.2 CRD PT Cruisers 2000-2010. Click here for more information. Note: On 2006-2010 PT Cruisers a faulty switch (IGN6) can cause the instrument lights and gauges to switch on and off when driving. The throttle control can also be affected. This part links the ignition key barrel and the ignition switch. It also operates the steering lock. 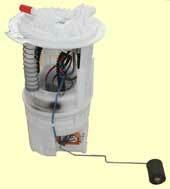 Common symptoms of a faulty actuator are the starter motor not operating even though the dash lights are on. The ignition key turning round further than normal or sticking. Fits all 1.6, 2.0, 2.4 & 2.2 CRD PT Cruisers 2000-2005. 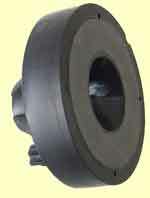 Also fits the following: Jeep Wrangler, Cherokee & Grand Cherokee 1997-2005. Chrysler Neon all years. Replacement ignition key cylinder barrel. The kit comes with instructions and the necessary lock tumblers enabling you to use your existing key. It is important to watch the manufacturer's short instructional video. If you do not feel completely confident then we would recommend asking a local locksmith to do the job. If the new cylinder barrel is re-assembled with any incorrect tumblers it cannot be dismantled again. Unfortunately, it would then be necessary to purchase another new ignition barrel. Fits all PT Cruisers 2000-2005. Replacement ignition key cylinder kit that comes with instructions and the necessary lock tumblers enabling you to use your existing key. Unlike the kits for the earlier model PT Cruisers, the 2006-2010 kits do not include the outer barrel case as the existing one is re-used. Replacement window controller switch unit. It has a built-in electronic module and any erratic or intermittent problems with the operation of the windows usually means that the switch unit needs replacing, particularly if more than one window is affected. Fits all models 2000-2010. Note: The Dark grey unit matches PT Cruisers with the all dark grey interior. The Light grey / taupe unit matches the other PT Cruiser interiors but has blue lights instead of green. Replacement PT Cruiser wiper stalk switch. Fits all PT Cruisers 1.6, 2.0, 2.4 & 2.2 litre 2000-2005. 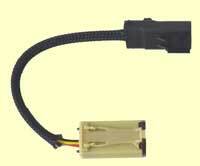 Replacement PT Cruiser rear wiper switch. Fits all PT Cruisers 1.6, 2.0, 2.4 & 2.2 litre 2000-2005. Replacement PT Cruiser brake light switch. It has four functions. The main one controls the brake lights. It also deactivates the cruise control if fitted, initiates the ABS braking system and switches the gear shift interlock on automatic PTs. Fits all 1.6, 2.0, 2.4 & 2.2 CRD PT Cruisers 2000-2010. Replacement reverse light switch. Fits all 1.6, 2.0, 2.4 & 2.2 CRD PT Cruisers 2000-2010. In order to assist pinpointing engine misfires and faults, we recommend the use of a Code Reader. Click here to see the Code Readers. This sensor pressure switch is responsible for keeping the idle speed correct and steady when pressure increases in the power steering system - when parking for example. A faulty switch will lead to irregular engine idle speeds. Fits 1.6, 2.0, 2.4, 2.4 Turbo and 2.2 CRD PT Cruisers 2000-2010. Replacement Idle Air Control Valve. Fits 2.0, 2.4 litre & 2.4 Turbo PT Cruisers 2000-2010. With any idle problems, first check that the PCV hose is not perished, split or blocked. Click here to see the PCV hoses. Also known as the Air charge sensor, this sensor monitors the temperature of the air going into the engine. It is one of the main sensors involved in maintaining the correct air / fuel ratio. Fits 1.6, 2.0, 2.4, 2.4 Turbo & 2.2 CRD PT Cruisers 2000-2010. Replacement throttle position sensor. Fits 2.0 & 2.4 litre PT Cruisers 2000-2010. 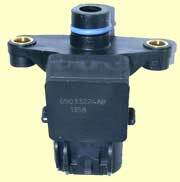 Replacement MAP (Manifold Air Pressure) sensor. 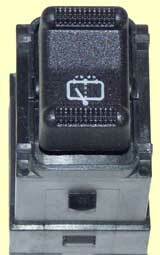 The Mopar part numbers are shown below and should correspond to the number on your existing MAP sensor. Fits 2.0, 2.4L & 2.2 CRD PT Cruisers 2000-2010. Replacement crankshaft sensor. This sensor tells the PT’s computer which cylinder should be firing. If faulty, symptoms include no start, difficult starting, misfiring, no spark or no injector pulse. It is advisable to check the wiring and wiring connections to the sensor first. Also a faulty sensor can put the engine into ‘limp home mode’ where the engine is limited to 2500rpm. The usual fault code is P0320. Fits 1.6, 2.0, 2.4 & 2.2 CRD PT Cruisers 2000-2010. Replacement Camshaft Sensor. Fault symptoms similar to a faulty crankshaft sensor and can also put the engine in ‘limp home mode’. The usual fault code is P0340. Fits 1.6, 2.0, 2.4, 2,2 CRD and 2.4L Turbo PT Cruisers 2000-2010. The Cam magnet fits on to the end of the left camshaft behind the camshaft sensor. It can very occasionally crack or fail, giving the same fault syptoms as a faulty camshaft sensor. Fits 2.0, 2.4 and 2.4 turbo 2000-2010. This sensor fits onto the engine block and can detect knocks caused by early detonation of the fuel/air mixture in the combustion chambers. The sensor will signal back to the engine‘s computer which will then adjust the timing to stop this occurring. A faulty sensor is usually indicated by fault code P0325. A ‘wastegate solenoid fault’ can often be due to this part failing. Intermittent loss of power is a common symptom. 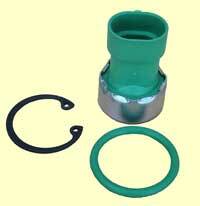 If the pipe with its small filter becomes detached from the regulator, this can cause permanent damage to the regulator. Also, check the Turbo inlet hose as a split in this hose is the most common fault for loss of power. Fits 2.2 litre diesel PT Cruisers 2002-2010. It is important to check that these small filters are in place on the pipes of the two pressure regulators and are clean. Fits all diesel models 2002-2010. Replacement ABS wheel sensors for the front and rear wheels of the PT Cruiser. Fits all 1.6, 2.0, 2.4 & 2.2 CRD PT Cruisers 2000-2010. For the ABS reluctor rings click here. There are two oxygen / lambda sensors. 1. The front or upstream sensor - which is fitted to the exhaust between the catalytic converter and the manifold. This sensor monitors the exhaust gases and can signal the PT’s computer to alter the fuel to air mixture if required. 2. The rear or downstream sensor - which is fitted to the catalytic converter to monitor its efficiency. 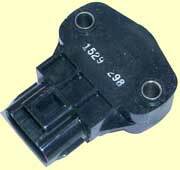 Speed sensor for PT Cruisers. If this sensor fails, the speedometer stops working and the engine often misfires or stalls. This sensor signals the outside air temperature back to the overhead display inside the car. Fits all 1.6, 2.0, 2.4 & 2.2 CRD PT Cruisers 2000-2010. Air Con compressor, Auto trans axle, Electronic control module, Fuel injection circuit, Fuel pump, Horn, Radiator cooling fan high speed (2000-2005) and Radiator cooling fan low speed (2000-2005), Starter cut off, Starter. 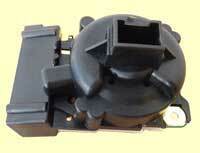 For Headlights, Radiator cooling fan low speed (2000-2005). Either a 4 pin square relay or 5 pin square relay is used. Check before ordering, click the photo to see all relays. 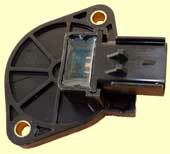 Replacement flasher relay that fits on to the multifunction switch and operates the indicators and hazard lights. Note. If the hazard lights flash ok, then any fault with the indicators is usually due to a faulty multi-function switch. As with all manual USA cars the PT Cruiser will only start if the clutch pedal is pressed. 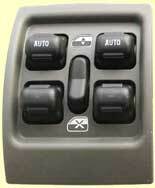 This electrical switch is operated by the clutch pedal to complete the starting circuit. Fits PT Cruisers 2000-2010. Replacement door interior light switch for the rear door jambs. Fits either side of all PT Cruisers 2000-2010. 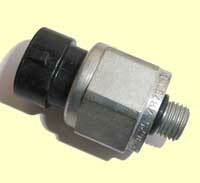 Low pressure switch for the Air Conditioning system. It fits on top of the receiver/dryer (accumulator). High pressure switch for the Air Conditioning system. It fits on to the end of the compressor.